With all due respect to a certain Fab Four, “Boy, you’re going to carry that weight, Carry that weight a long time…” Nowhere is that more true than of the burden of armour, gear and equipment of the dismounted soldier. CQC has been lightening that load, so to speak for decades, particularly with its latest body armour system, the Osprey MK 4A. With quick-release and bespoke adjustable fixtures as standard in CQC designs, additional protection can be added and removed as required. Padded hip belts help users to distribute the load across the waist and shoulders, thereby increasing the wearer’s comfort and effectiveness for prolonged dismounted operations. In 2012, the Osprey MK 4A load carriage system received Solider Technology’s prestigious “Best Load Carriage System” award. But perhaps a greater reward was received that same year by Lance Corporal Denis Larubi, who was saved, not once, but twice from a snipers bullet in the span of two days, the second time, thanks to his Osprey MK 4A. 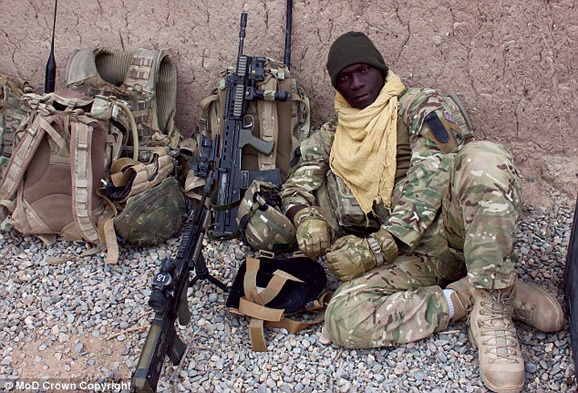 The father-of-two, on his third tour in Afghanistan with 2nd Battalion, The Mercian Regiment, was knocked off his feet by the force of the impact at Checkpoint Langar in Nahr-e Saraj, Helmand, but his injuries would have been far worse if it hadn’t been for his Osprey armour. His is but one of hundreds of similar saves racked up by the Osprey. Osprey has continually evolved to reduce weight and burden while striving to increase flexibility, modularity and capability. Further innovations continue to push the boundaries of modern technology through the integration of existing and new technologies such as Man Worn Power and Data (MWPD), taking Osprey to new levels of capability while continuing to “lighten the load”. With over 275,000 systems delivered, the Osprey MK4A has earned a deserved reputation for quality and is a leading example of modularity and capability; designed to deliver maximum effectiveness in any configuration.